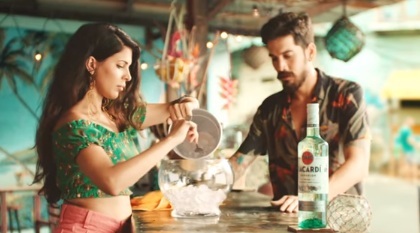 Bacardi USA has launched a new summer ad, urging viewers to break free this summer with Bacardi Rum. The spot, created by BBDO New York and directed by Keith Schofield of Caviar, features people in a colorful town, whose moves play in a loop, from a young woman who paints her toenails, people who use fans to cool themselves down, a woman who prepares ice for Bacardi cocktails, to people walking on a street, on their way to a bar, where they can finally break free with Bacardi and start a party. The song playing in the ad is “Front of the Line” by American electronic music trio Major Lazer, featuring Jamaican dancehall recording artist Konshens and soca singer Machel Montano, from the trio’s 2017 album “Know No Better”. Last month, the family-owned spirits company announced its partnership with Major Lazer on a series of concerts and collective bottles under the name “The Sound of Rum”.